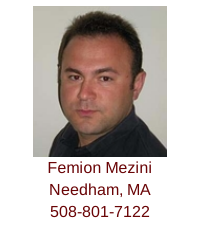 Attorney Femion Mezini is an exclusive buyer agent who works from an offices in Needham, Massachusetts. Femion helps first-time and experienced home buyers purchase properties in Needham, Wellesley, Cambridge, Somerville, Boston and surrounding communities. Femion can be reached using email or by calling his mobile (508-801-7122). Femion is a licensed Real Estate Broker in Massachusetts, a member of the National Association of Exclusive Buyer Agents, National Association of REALTORS, Massachusetts Association of REALTORS and Greater Boston Association of Realtors. Femion graduated from Pacific Union College in Angwin, California with a Bachelor's of Science degree in Business Administration. He continued his studies at Western New England College School of Law and School of Business. In May of 2006, Femion received his J.D. and M.B.A. degrees. He was the first student in the school's history to complete the requirements for both graduate degrees in just two and a half years. Femion is also a member of the Friends of the Morin Center, graduating with an LL.M. in Banking and Financial Laws from Boston University in May 2009. Femion lives at the crossroads of law and business. While completing his graduate degrees, he built and managed a multimillion-dollar real estate portfolio in the U.S. Virgin Islands. Femion is admitted to practice law in the Commonwealth of Massachusetts, State of New York, and the United States District Court for the District of Massachusetts. Femion can be reached using email or by calling his mobile (508-801-7122). 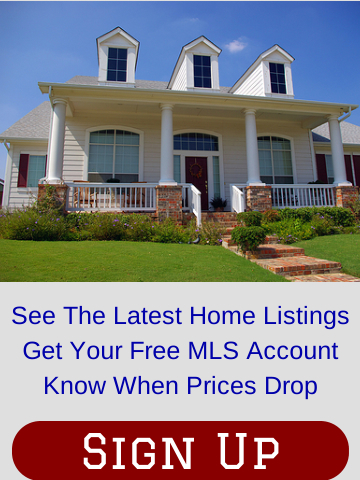 Fill out the form below to see the latest listings in Somerville, MA; Needham, MA; Cambridge, MA; Wellesley, MA; Boston and other surrounding communities or sign up directly for your very own free MLS account at Femion's MLS Property Finder Web site. "Femion Mezini was fantastic. He was there anytime we needed him. He made us feel like his only clients, little did we know he had 6 other closings in that same month. Anytime we had a question or concern he was there with an answer. I would highly recommend him to anyone looking to buy a home." "I really enjoyed working with Femion. He is knowledgeable, efficient, detail oriented, resourceful and patient. I especially liked the fact that he is also a lawyer. This was key in my case because I purchased a foreclosed property and was apprehensive at times. I trusted that Femion was looking out for my best interest at all times. I have and will continue to recommend Femion to anyone looking for a realtor." "The service Buyers Brokers Only, LLC provided was truly invaluable to us in finding our first home. We couldn't be happier! And I cannot stress enough how much we appreciate the time [Femion] took to answer our countless questions and [his] continuous fight for us. It is so rare to find a company who cares about their clients, and who will go above and beyond when they don't have to. This service cost us nothing, and yet our experience was priceless!!! I will recommend Buyers Brokers Only, LLC to all of my friends, family, and coworkers wholeheartedly!!"